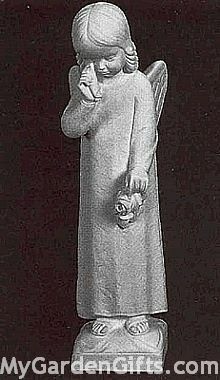 Sadness is clearly depicted in this inspiring sculpture of a little angel girl who holds a rose and casts tears for the one she sheds for. A weeping angel moans in this immaculate sculpture designed for indoor or outdoor use. Available in solid marble.